The Schnoodle dog is a hybrid canine breed that is popular with families. Also known as Schnauzer poodle. This hybrid dog breed is one of the various kind of Poodle Mixes that people love to have as a pet. Perhaps you want to get your very own Schnauzer Poodle mix dog, or you already own one? If that’s the case, then you might be interested in knowing more exciting and useful info about the canine. To understand more, read the information below. How Much are Schnoodle Puppies? Like many other mixed or hybrid dog breeds, the Schnoodle dog‘s is relatively recent. It was during the 1980s that the Schnoodle breed was being developed. The 1980s also saw a growth of interest among various canine owners when it came to cross breeding Poodle dogs. The original goal for creating the Schnauzer Poodle mix was to breed a dog that is low-dander and low-shedding. Judging from the current interest and popularity of the canine, Schnoodle breeders have succeeded in such a type of canine pet. Breeders also produce Schnoodle puppies that are the result of breeding multigenerational Schnoodles or in other words, Schnoodles breeding with other Schnoodles. So far there no official doggie standards or even breed clubs for the dog though are Schnoodle owners and breeders trying to organize one. A pet be it a dog, or other animals must have an attitude that is attractive to a prospective owner. The Schnauzer poodle is an intelligent, happy and loyal animal that enjoys having fun, play and be loved by its family. Aside from being a pet, the Schnoodle has what it takes to be a protective watchdog while still loving participation in every aspect of its family. Schnoodle temperament tends to be different from each canine and genetics usually plays a part in how the dog’s personality turns out. A Schnauzer poodle may have a watchful and suspicious trait towards other people and dog, while another canine can get along with other dogs and are friendly to other people. Training and socialization methods on a Schnoodle puppy or adult also have a part of shaping its personality for good or ill. However, it is advisable to train and socialize the breed when it is still a puppy. You can again teach and socialize an adult Schnauzer poodle, but it won’t be easy since the dog is set in its ways. A well trained and socialized Schnoodle dog will have a well-rounded trait. A kindergarten class for puppies is a great way to start training a Schnoodle puppy. To polish the dog’s social skills, try meeting neighbors while you and your pet are out for a leisurely stroll, walking in a busy park or meeting visitors. Also, the dog tends to be destructive and hard-headed if it lacks any physical or mental stimulation. Children tend to get along with the canine. Still, some supervision is advisable to prevent children from harming the dog. At the same time, kids must learn never to bother the Schnoodle while it is eating or sleeping. Schnoodle is the common name for this dog breed, but it is called a Schnauzerdoodle, Schnauzerpoo or a Giant Schnoodle if the canine is one of those bigger types. A smaller is called a Toy Schnauzer Poodle instead of Toy Schnoodle. Schnauzer Poodle mix’ coats are soft and wavy like a Schnauzer puppy and generally speaking the first generation dogs have this kind of coat. Second generation Schnoodles tend to have the curly coat of a Poodle or the Schnauzer’s wiry coat. A wavy-type coat appears in dogs that are the results of multigenerational breeding. Coat maintenance – A Schnoodle’s coat is one thing that makes the dog beautiful to look at, however lack of brushing can mess it up. If the coat is rough and wiry, it only needs weekly brushing and cut some of the hair to remove dead hair and keep it tidy. Soft wavy coats need only brushing at least one or twice a week. Lastly, a curly coat needs brushing regularly and requires hair clipping every six to eight weeks. Bathing the dog is also important though you need only you do this on an as-needed basis to maintain the coat’s softness. You can brush the skin after the bath, and when drying it, you can use a hairdryer. Physical checkup – Give the dog’s body a thorough look for signs of skin problems or infection. Check the ears for dirt, bad odor or redness once a week since these are signs of infection. Look out for sore, rashes, redness, inflammation or tenderness is the skin and feet as well as other body parts. The eyes must be free from discharge or lack redness. The canine’s ears are tender spots that need cleaning. Use a cotton ball with gentle pH-balanced ear cleaner weekly to clean the ears. Nail trimming – Usually dogs wear down their toenails the natural way, but sometimes the nails require a helping hand to keep them from becoming too long. To determine if the canine needs nail trimming, listen carefully to it walking or running on a floor. If you hear clicking noises, then it’s an indicator that you need to shorten the nails via trimming. You can do the nail trimmings yourself, but if you feel that you are not up to the task, then you should hire an expert groomer instead. You spend a bit of money in hiring an expert groomer, but it’s better than having to injure your pet accidentally. Dental health – Tartar, and bacteria tend to build up in the canine’s teeth. If left unchecked the dog gets gum disease and bad breath. The solution to this problem is to brush the teeth daily or two to three times a week. Daily teeth brushing are a much better option. Apples and carrots can also help keep your dog’s teeth healthy and clean. Celery can freshen the canine’s breath. Just be sure to remove the core and seeds of an apple before feeding your pet with it and cut up the fruit and vegetables to make it easier for the dog to eat then digest. Schnoodles can be touchy when someone handles them physically especially when it comes to their feet. This touchiness can be a problem since the dog will not stand still or gets agitated during grooming. A misplaced haircut or nail trimming can hit the canine thus injuring it. Make sure to get your pet is accustomed to being handled, brushed and examined while it is still a puppy. Also, make grooming a positive experience for the dog and praise as well as reward it for its efforts. Patellar luxation – A common problem that affects dogs breed especially the smaller ones. Patellar luxation or slipped stifles condition in where the knee joint (usually the hind leg) of the dog does not fit tight in the bone joint. As a result, the knee joint slides in and out causing the canine pain and could potentially cripple it. However, with proper treatment, a dog can lead a relatively healthy life. Addison’s Disease or hypoadrenocorticism – This particular condition is a serious one for the canine that possesses it. Hypoadrenocorticism occurs when the dog’s adrenal gland produces insufficient adrenal hormones. The disease in its severe state causes the heart to improperly function due to high potassium levels, which in turn causes severe shock and death. The symptoms of Addison’s Disease may resemble that of other conditions, but poor appetite, low energy, and vomiting are signs of the disease. A veterinarian can confirm hypoadrenocorticism via a series of diagnostic tests. Gastric Torsion or bloat – Usually bloat only affects large dog breeds that have deep chests, but it does affect Schnoodles though the chances of affecting a small dog are low. However, Giant Schnoodle dogs have a substantial probability of getting bloat. Bloat occurs when a canine eats too many large meals per day, drinks water in large volumes after eating and vigorously exercises after a heavy meal. Gas and air distend the dog’s stomach which causes it to twist (torsion) within. The poor animal is not able to get rid of the excess air and gas being unable to belch or vomit. As a result, the condition blocks the blood flow into the dog’s heart, and the blood pressure will drop. Once the canine goes into shock due to low blood pressure, it must receive medical attention at once before the bloat becomes fatal. If you correctly suspect that something is wrong with your pet’s physical health, do not be shy or even hesitate to go to a veterinarian. A well-timed checkup will show what is wrong with a Schnoodle and deal with the health problem early on. Do not buy a pup from a puppy mill. Puppy mills produce sub-standard pups, and sometimes the puppies are not pure dog breeds that you want as a pet. Instead, buy a pup from a legitimate breeder who has the credentials for producing high-quality pups. 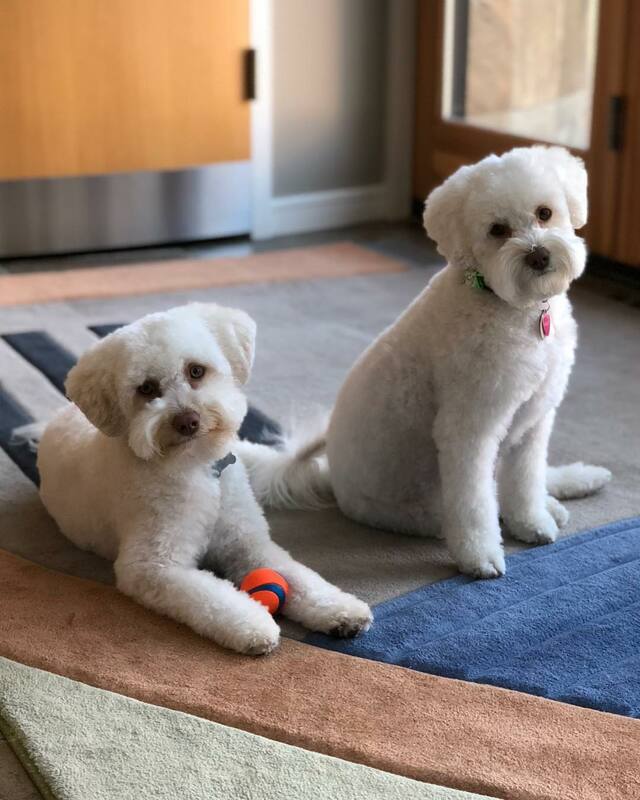 Visit the Schnoodle breeders yourself personally to ask any other question concerning the puppy such as its pedigree, whether it has received vaccination and other essential data. A personal visit is a good chance for you to see the breeding kennels condition and take a look at the puppy’s parents. The pup’s bloodline and its surroundings play an important part in shaping it Schnoodle temperament. Be wary of Schnauzer Poodle mix puppies sold online since some of them are scams. Online scammers will usually post images of puppies and sell them for a meager price. These puppy “sellers” will also ask for money up front from buyers before delivering the pup. Do not pay a deposit or hand out money to the seller without seeing the puppy that is on sale. A Schnoodle puppy can be quite expensive, but if you are willing to buy one, then the price tag should not be a hurdle for you. Still, it is best and advisable that you know what the exact price tag of puppy Schnoodles is. The pup’s price depends on several factors: their pedigree, the characteristics of their coat, the value of it parents and how many puppies are currently available. Size also dictates the pup’s price tag, and you could be paying less for a small one compared to large size types. The list above shows the standard prices, but for puppies that belong to later generations, their price tag tends to be on the low side. If a Schnoodle pup’s price tag is meager than usual and you get the feeling that it is too good to be true, the chances are that your hunch is right. These particular puppies with very low price tags are not high-quality, and their pedigree, as well as physical health, is questionable. You may have the temptation to buy such a cheap pet, but you will just be wasting your money on a sub-standard puppy. 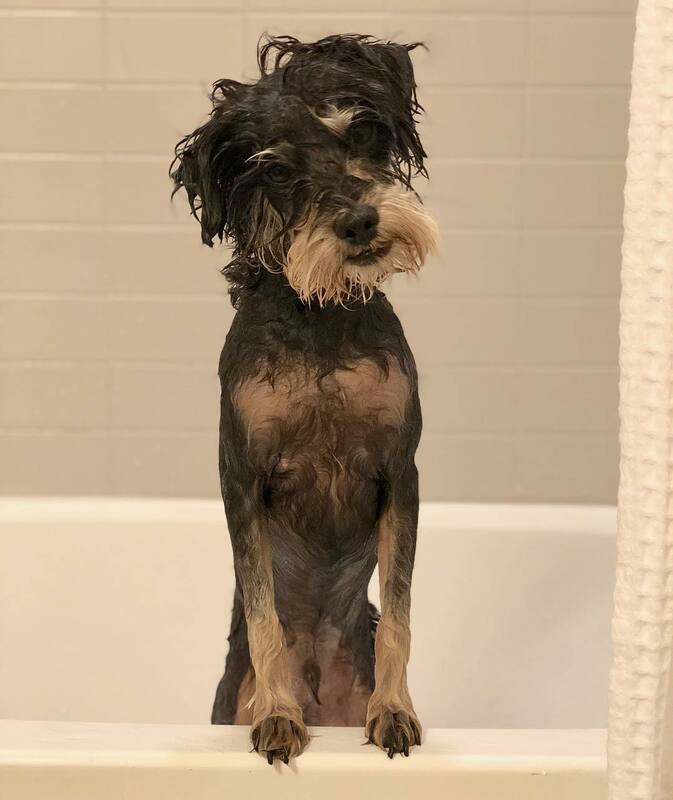 Now on the other hand, if you are looking for Schnoodles rescue clubs to adopt instead of buying a dog, you can try contacting Poo-Mix Rescue. Poo-Mix Rescue is a virtual rescue operation meaning that they don’t have rescue facilities and physical shelters. However, they do contact with shelters throughout the USA as well as Canada, and the dogs from those shelters are on their websites lists of potential adoptees. The Poo-Mix Rescue site the premier source of info for adopting not just Schnoodles, but any Poodle mix breed. That’s all the info about the Schoondle dog, and there’s no denying that this is one superb pet. However, now that you know some things about the dog think hard first about the impact of having this canine in your life. Do you have time to interact and play with this high-energy pet? Will the dog be happy and content in your home? Can you take care of its physical health and provide comfort? If you think that you don’t have what it takes to own a wonderful pet like this, then get one. There is no shame in admitting that you could be an inadequate owner of such a dog. On the other hand, if you think that you have the makings of a good doggie owner, then go for it. You won’t regret having this canine as a pet, and you love his or her company.